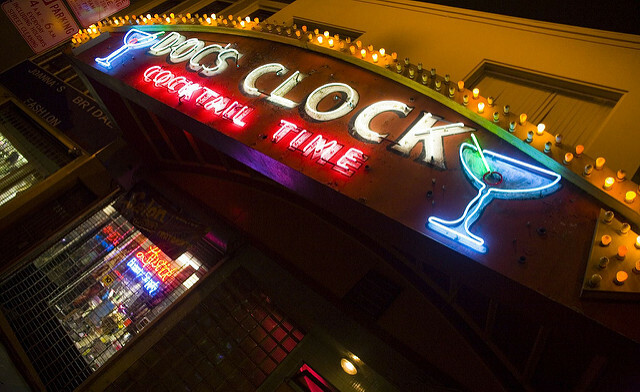 Already beloved, Doc’s Clock is on track to becoming a legacy business, a move that could mean more money to help the dive bar navigate its uncertain future. Last week, the city’s Historical Preservation Committee voted to approve the bar for the city’s legacy business program, which offers financial incentives to protect the city’s older vulnerable businesses. Doc’s Clock will cement its new status if the Small Business Commission votes in its favor at a meeting later this month. Doc’s Clock has about a year and two months remaining on its lease at 2575 Mission St., which changed hands in July of last year. The new owner has decided not to renew the bar’s lease. If approved, Doc’s Clock would be eligible for an annual grant of $500 per employee. The program, open to historically or culturally significant businesses that are 30 years or older, also offers a yearly grant of $4.50 per square foot to property owners who extend 10-year leases to legacy businesses. While bar owner Carey Suckow doubts the grant money will help to change her landlord’s mind, she said it could help as she looks for a spot to move Doc’s Clock. Once a store, the bar was established in 1951, originally as “The Clock Bar,” according to nomination information submitted to the city. It became “Doc’s Clock” in 1961 and “has also become a well-known host for fundraisers and charity events for various causes at the local level and on a broader level.” Also noted are the bar’s neon marquee, the “interior wall mural from the 1970s or 1980s,” its shuffleboard table and its historic bar and back bar. 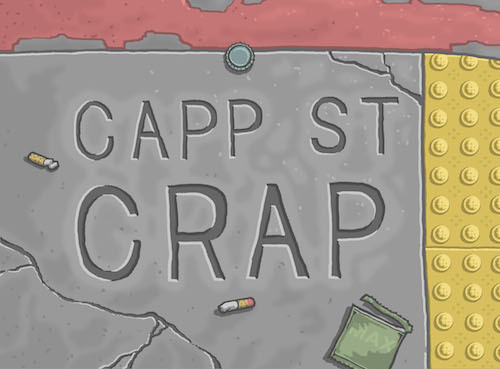 Back in February, Suckow told Capp Street Crap that the landlord plans to remodel the bar’s space and the Lipstick salon and beauty supply store next door. While she had hoped to find a way to buy the building, it “sold before it hit the market well over asking. “I am trying to stay positive since change can be really good sometimes,” Suckow said. The Small Business Commission meets at 2 p.m. on Aug. 22. This entry was posted in booze, Bars, booze, news.